Why Choose Oil Boilers from Glow Green? At Glow Green we understand that the right oil fired boiler is not simply determined by the size that fits your home. It is about the lifestyle that the customer leads. For this reason our specialist advisors take time to visit you and carefully identify which boiler is the right fit for your home. Glow Green has a committed oil team ready for your call. All our highly experienced and trainee engineers are all registered with OFTEC dedicated to providing a superlative service. Leading manufacture Worcester-Bosch supply Glow Green with the highest quality boilers that are each passed through a stringent of tests before they are sent to us. 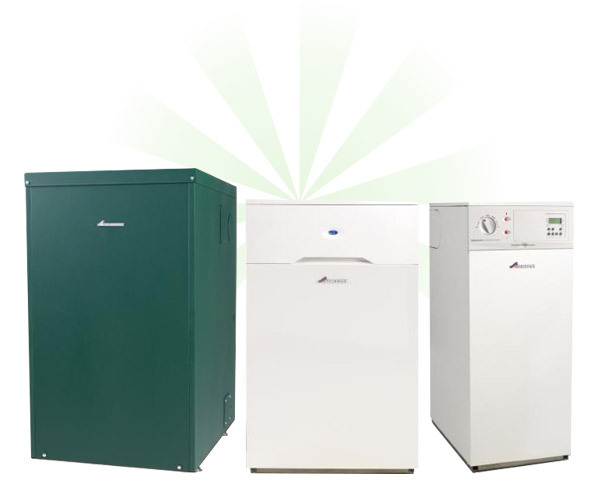 We are proud to provide our customer with premium and efficiency Greenstar oil boilers. Although we may be committed to installing Worcester Bosch boilers, this does by no means hinder our knowledge on maintaining all other oil boiler manufacturers such as Grant and Riello. If you would like a quick overview of the three main types of boilers Combi, Regular or , the table below gives you a brief understanding of some things that you may want to consider before making your decision. We offer 2 years 0% finance on oil boilers. Call us now on 0330 113 9488 for a free no-obligation quotation.